How many racks of ribs does it take to feed 12 people? Way too many! The trouble is we love backribs, so summer or winter I try to serve them when the gang gets together. 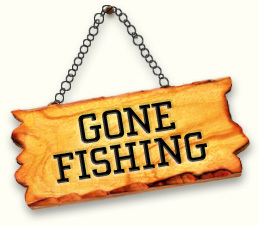 Unfortunately, the ribs I've been able to find here on the Cape leave much to be desired, so we'll have to take a pass on them this year. That doesn't mean this recipe should be overlooked. This is an effortless meal that produces wonderful ribs with meat that falls off the bone. Once you've tried this oven baked variety, I suspect you'll never bother with the grilled ribs again. I hope we've tempted you to try this top ten recipe. Here is how these ribs are made. From the kitchen of One Perfect Bite...Our plans last weekend were changed because of rain. Fortunately, everything on the menu could be made as easily in the kitchen as on the grill. At the time I talked briefly about the meal and have since received requests for the recipes I used, particularly the one for baby back ribs. There are basically three steps involved in making this summer favorite. The first is assembling a dry rub. The second is making a barbecue sauce and the third is the actual cooking of the ribs. The dry rub and sauce will take 10 minutes of your time to make, but the sauce will need to cook for 1 to 2 hours. The ribs will require about 4 hours of unattended cooking time. They will be most flavorful if you apply the dry rub to the ribs about 8 to 24 hours before you plan to cook them. The barbecue sauce, which by the way is fantastic, will be even better if it has 24 hours to age. I'm not a fan of sauces that need dozens of ingredients to be flavorful. This is a very simple sauce. While I prefer baby back ribs, this recipe also works well with spare ribs, though they will require an additional hour to cook. Whichever you choose, remove the silver skin from the back of the ribs before apply the rub. It's really hard to believe that something this good can be this easy to prepare. Here's the recipe. 1) To make dry rub: Combine salt, granulated onion, granulated garlic, paprika and pepper in a small bowl. Set aside. 2) To make barbecue sauce: Combine all sauce ingredients, in the order listed, in a large pot with a heavy bottom. Whisk until smooth. Place pot over low heat and cook for 1 to 2 hours, stirring every 20 minutes, until thickened. Set aside. If not using immediately, cool to room temperature and refrigerate. 3) To make the ribs: Rub top surface of ribs with liquid smoke. Sprinkle top surface of each rack with 1 teaspoon dry rub. Turn and sprinkle bottom surface of each rack with 1 teaspoon dry rub. Wrap in plastic wrap and refrigerate for 8 to 24 hours. Preheat oven to 250 degrees F. Remove covering from racks. Place on an aluminum foil lined baking pan or cookie sheet. Cover pan with foil and bake in preheated oven for 3-1/2 hours. While ribs are cooking, remove sauce from refrigerator and warm. Remove ribs from oven. Let rest for 10 minutes, remove foil and drain accumulated liquid. 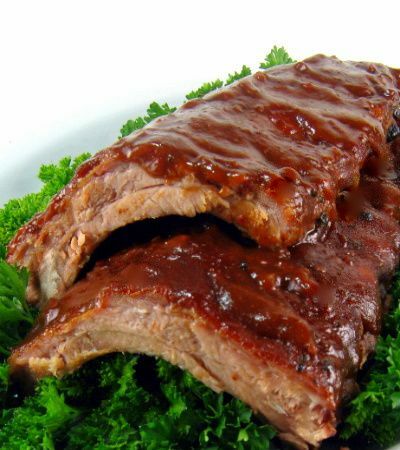 Spread both sides of ribs with barbecue sauce, return to oven and bake, uncovered for an additional 30 minutes. Serve hot. Yield: 4 to 6 servings. Perfect,juicy and flavorful ribs, Mary!! !They're really worth the prep and cooking time!!! Keep enjoying your vacation! Everyone around here is just crazy about ribs and many restaurants specialize in them. I hope you are still enjoying your trip. i can't say no to beautiful ribs like these, yum! Love and enjoy your holidays, I´ll give my blog holidays soon.